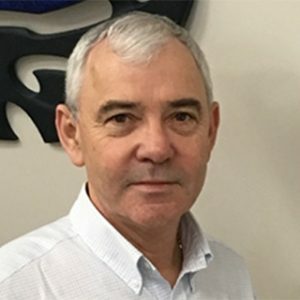 As the new Chair of the New Zealand Pacific Business Council (NZPBC) Ngā Tai a Kiwa , Peter McGill brings more than 30 years of experience managing energy-related businesses in New Zealand, Australia, Asia, the UK and the Pacific to the role. He replaces Devin Brown, who completed his two-year term as Chair at the end of 2018 as per the constitution, Devin remains as an executive member. The NZPBC membership is made up of approximately 80 organisations from a board spectrum of sectors looking to conduct business in the Pacific Region. New Zealand Trade and Enterprise and Ministry of Foreign Affairs and Trade provide support acting in ex officio status on the Executive committee. Membership in NZPBC has remained stable, especially in comparison with declining memberships across many organisations. The Council held a Strategic conversation among the executive on the direction and shape of the organisation looking ahead in 2019 and beyond. This discussion reaffirmed that the most important benefit NZPBC can provide to the members is information about opportunities in the Pacific region for New Zealand businesses. NZPBC is looking at investing in its website as the central point of information distribution, linking effectively to other media platforms i.e. LinkedIn and Facebook. In 2017 the NZPBC hosted a delegation from the Solomon Islands Government, this acted as a precursor to the NZPBC Solomon Islands Business Mission, which included 16 delegates and led by Deputy Chair Paul Pledge. The mission achieved several objectives, gaining an invaluable insight into the political situation and stability of the Solomon Islands, exposure to local companies and viewing local infrastructure opportunities. In October 2017, NZPBC also staged an After 5 Renewable Energy Showcase event hosted by TransNet NZ’s Auckland office. The event featured the dramatic rise in renewable energy technology, ranging from lower cost solar installations, higher capacity energy storage systems to the advent of affordable electric vehicles. All lead to an exciting, new sustainable future greatly reducing our dependence on fossil fuels. The evening featured a range of guest speakers discussing various topics, including building energy management and monitoring to enable self-consumption and minimise renewable energy export to the grid. Others spoke about the latest in solar panel and structural frame design, energy storage systems. As this function was a huge success a repeat will be held mid-year. In August 2017 the Pacific Chairs meeting was held in Wellington for the first time hosted by NZTE and MFAT. A reception was held at the Wellington waterfront which enabled the Chair’s to interact with a range of businesses and various government departments. Peter was CEO and Director of Tonga Power and became a director for a further three years to help establish Tonga Power as a state-owned enterprise. “It was set-up as a state-owned enterprise which was supposed to be modelled on the way New Zealand operated, but there was a general lack of investment in the network at the time of TPL’s establishment,” Peter recalls. Gradually, TPL rebuilt the grid, greatly assisted by the NZ Aid Programme with the Village Network Upgrade Program in addition to improved generation capacity. This year, NZPBC is planning a Business Mission to Samoa and American Samoa in May-June 2019 in conjunction with the New Zealand Samoa Trade & Investment Commission. For Devin, such missions are invaluable for those interested in doing business across the region. “We’re continuing business activities across the region, with an eye for relevant opportunities. There’s always relevant dialogue that’s worth taking note of and most of our executives are at senior management level,” he says. The change has resulted in some transition taking place, but we’re working to ensure the knowledge of the work within the members have been passed on. Experience still matters as much today as it ever has.